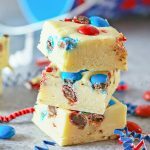 This time of year Red, White & Blue are the name of the game, which is why this fun Red, White & Blue Fudge is a great treat to bring to your holiday gatherings. Just a few simple ingredients & you can wow your crowd. I so love 4th of July. 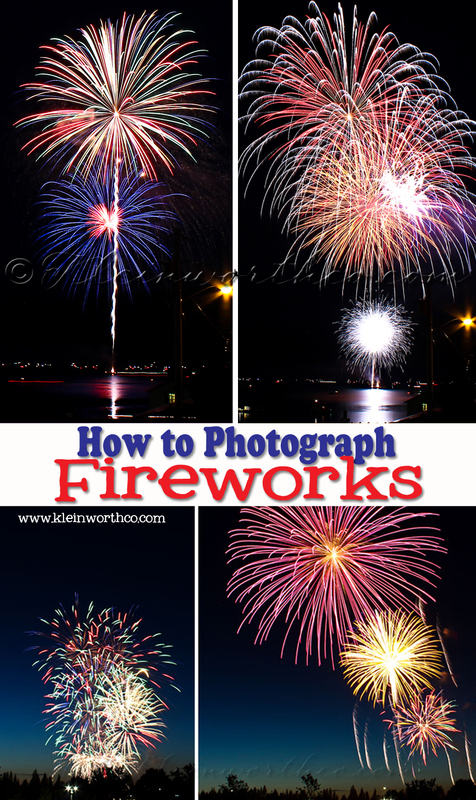 From Memorial Day through 4th of July is my FAVORITE time because I get to focus on the Red, White & Blue! I didn’t get a chance to decorate or really celebrate last year. We were packing to move into our new home all last June so I have been in patriotic withdraw since then. 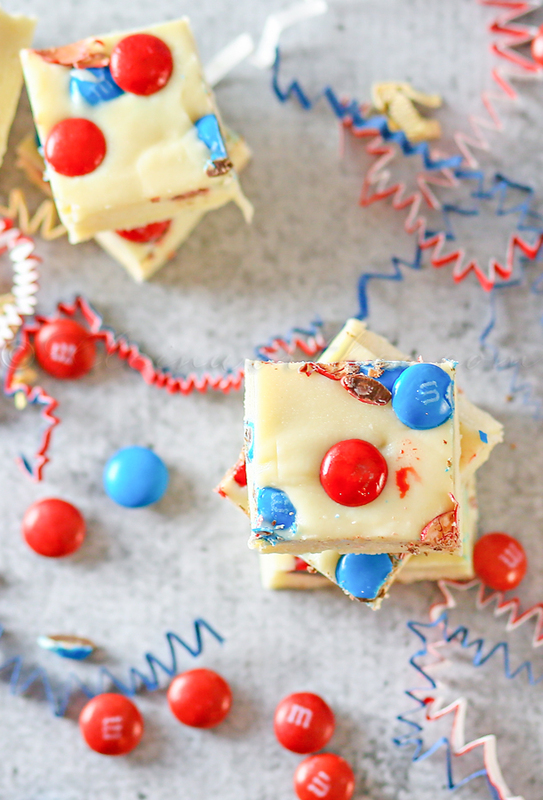 So I was super excited to be able to participate in this year’s Ultimate Red, White & Blue Blog Hop Round Up! 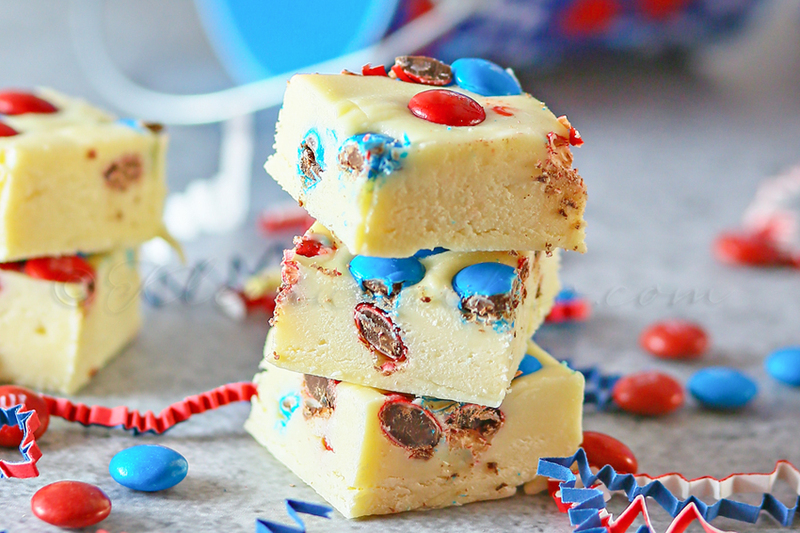 Since simple, no-bake treats are the focus all summer – this easy white chocolate fudge is the perfect treat for celebrating. Plus you can have chocolate at your celebration without it melting 🙂 Yay! I love how easy this recipe is – literal 5 minutes or less to prepare. Pop it in the fridge & let it set while you prepare your other party food & then it’s ready to serve. Be sure to check out more Red, White & Blue like these. 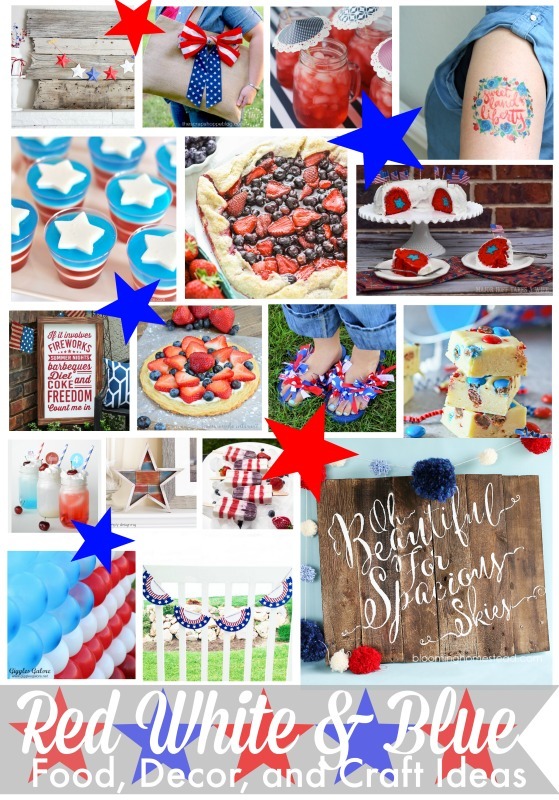 For more Red, White & Blue Inspiration – Follow our Board! 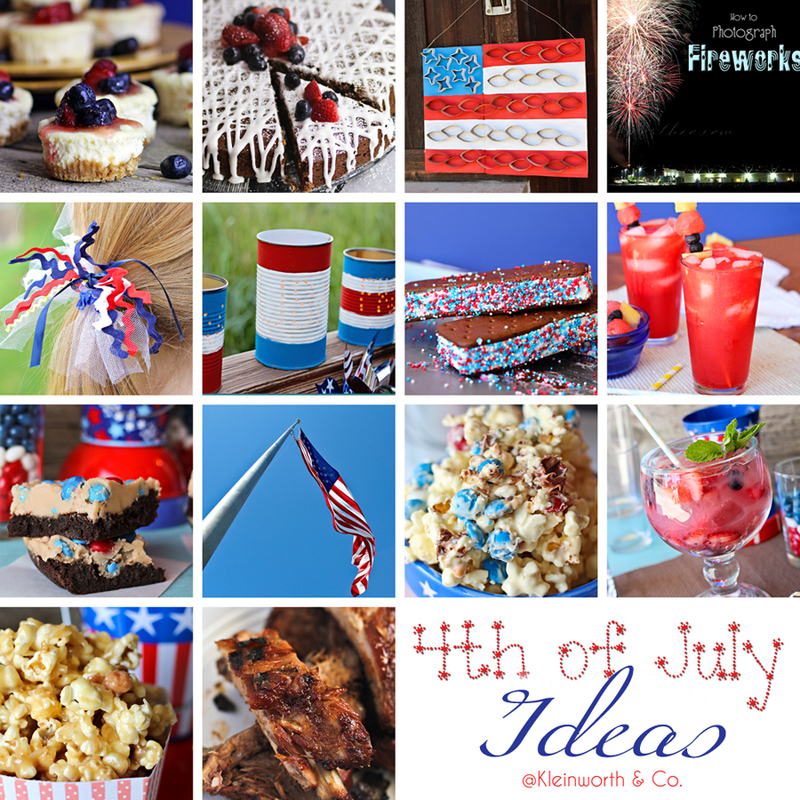 Check out more Red, White & Blue ideas here on Kleinworth & Co.
Be sure to check out all these other AMAZING Red, White & Blue Ideas being shared today!!! How fun! You have the best fudge recipes, Gina!! Pinned and sharing this one. It looks like a must-have for a July 4th cookout! Thank you so much Blair – it’s so delish! Wow! This looks scrumptious! I’d love for you to come over and share your post at our Friday Favorites party! 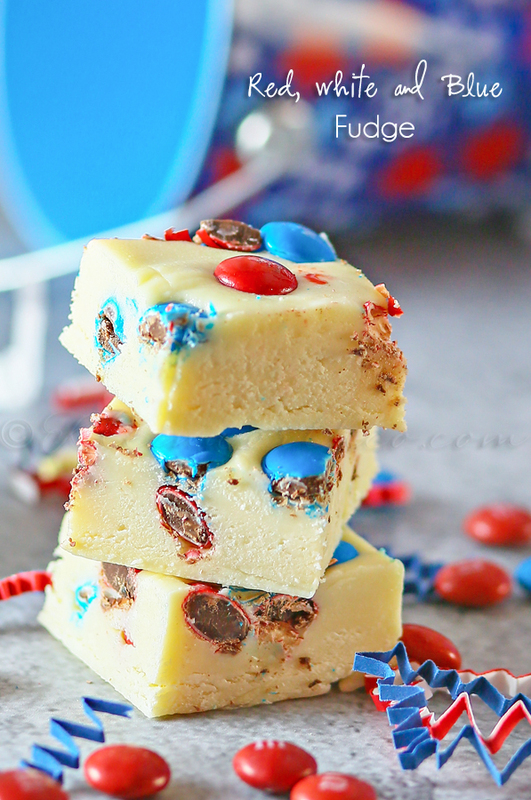 I’m a fudge maker, can’t wait to try your idea for patriotic fudge! Yummy recipe! Thanks for sharing. I’m pinning.